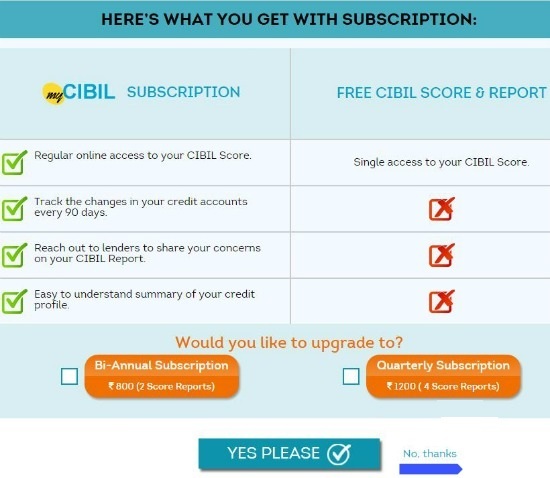 Home » Personal Finance » How to get Free CIBIL Credit Score Report? You must be aware that now you are entitled to get free credit score report every year this is as per RBI mandate issued previous year. 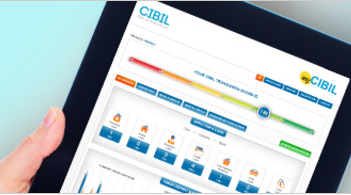 In order to comply RBI mandate CIBIL has launched Free Credit Score Report service to Individual. In this post, I will share information about How to get Free CIBIL Credit Score Report? A Credit Score is a three digit numeric number which shows a summary of your credit history. The value of your credit score ranges between 300 -900. The credit score plays a significant role when you are applying for the loan. Higher the credit score, the higher are chances of your loan application getting approved. The report mentioning information about credit score is known as a Credit Information Report. The credit information report (CIR) is month by month record of your loan related EMI and/ or credit card payments. This report includes the following information. How many and what types of loans are taken by you till date. Amount sanctioned by the bank and outstanding amount. Detail of loans where you stood as a guarantor. Your loan repayment history, delay, and default. Enquiries about your CIR made by various banks. Also Read – How to get free credit score report from Paisabazaar? Follow the steps given below in order to get free CIBIL Credit Score. Register on the portal by filling up the form asking basic information e-mail address, date of birth, gender and PAN Card number. Enter Captcha Text and tick mark on acceptance of terms and conditions. On clicking Submit button message box will appear showing difference between Free and Paid CIBIL Account. Note – In case you don’t have PAN card or if details given by you does not match with records, system will ask for further details like Identity proof, address and telephone/mobile number. In order to get free report click on No Thanks button. The system will register you and send you one time credential on specified email address. Login to mycibil portal with credential specified in email. 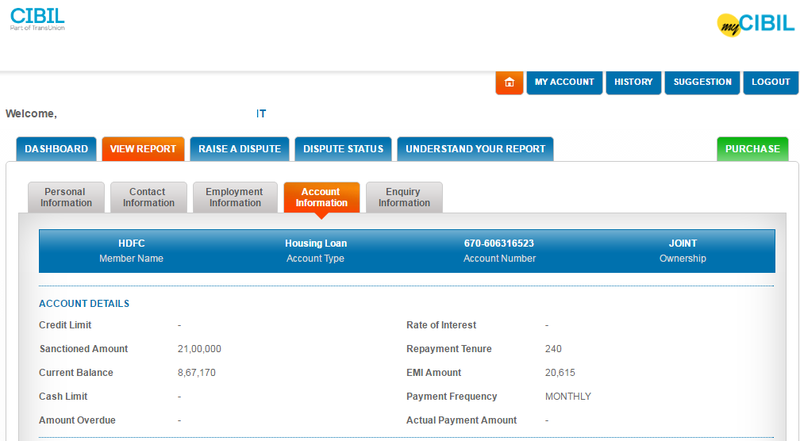 You will be able to see your CIBIL Credit Score on home page. As mentioned above apart from free credit score report you will be able to see loan information about loans are taken by you till date, Amount sanctioned by bank, outstanding amount and enquiry made by various banks about your Credit score report. In order to see this information click on “view report” tab. In account Information tab you will find information about your current and previous loan along with sanction amount. If you have any disputes about any information given on the portal you can click on “Raise Dispute” tab. You can check status of Dispute in “Dispute Status”. Remember your credit score value should be as high as possible preferably above 500. If your score is below 500 you should follow the tips given below in order to improve your credit score. Review and improve your credit score time to time in order to avoid unpleasant surprises in the form of a rejected loan application. Check how good is your credit score?